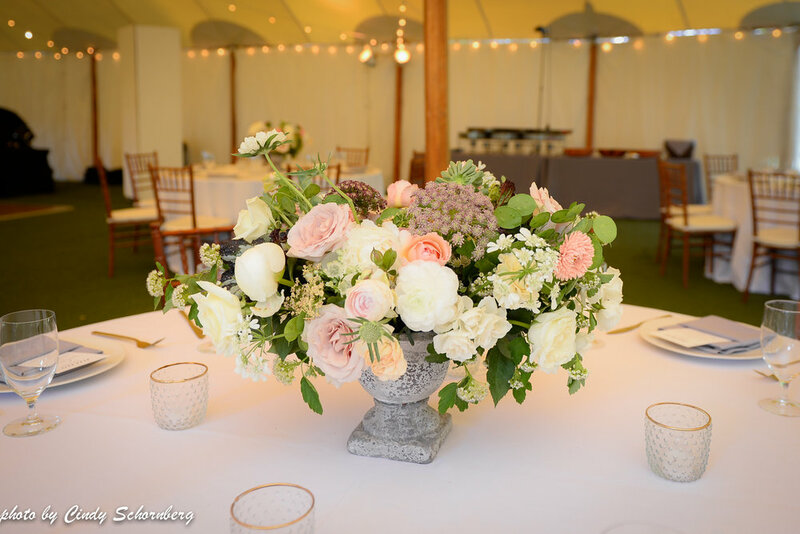 If Zhanna and AJ’s ceremony at Keswick Vineyards on June 1st didn’t set the mood for the remainder of their wedding day, I don’t know what could have! 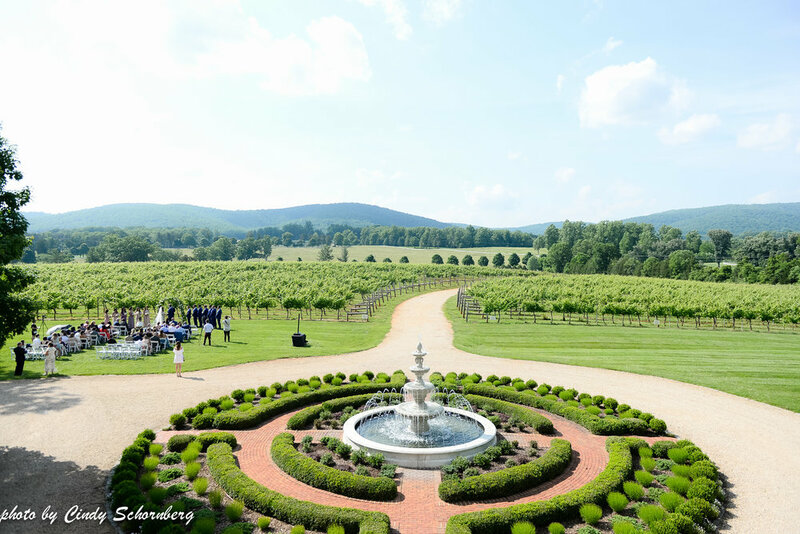 They decided to get married in our popular vineyard location but added a beautiful arbor that was adorned in greenery and roses. With the vineyard in full bloom in the background, along with the beautifully decorated arbor, we really felt the abundance of Mother Nature surrounding us. 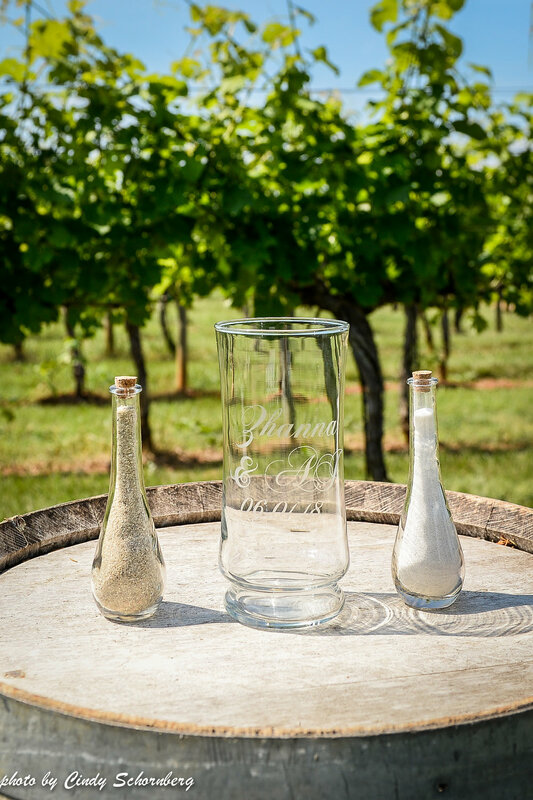 We love all of the various symbolic customs that couples enact to commence their lives together. Zhanna and AJ decided to do the “blending of the sand,” for their ceremony, where the sand that is being blended together is representative of their lives now together in union. At the end of the ceremony, AJ went in for the kiss and the bridal party popped silver streamers! It was an exciting moment, where all of the guests cheered and clapped in exhilaration. 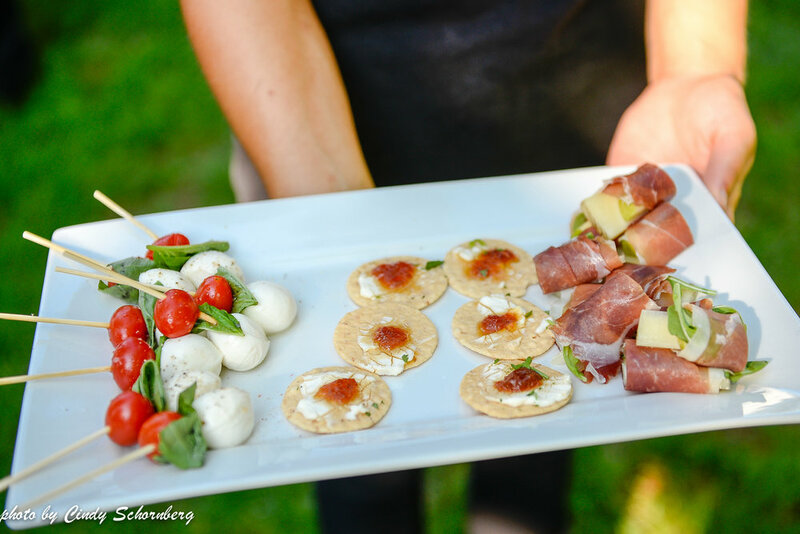 As guests left the joyous ceremony, feeling high on life, they migrated to our three-hundred-year-old oak tree, where they were greeted with drinks and a delicious array of appetizers provided by Dinner at Home. 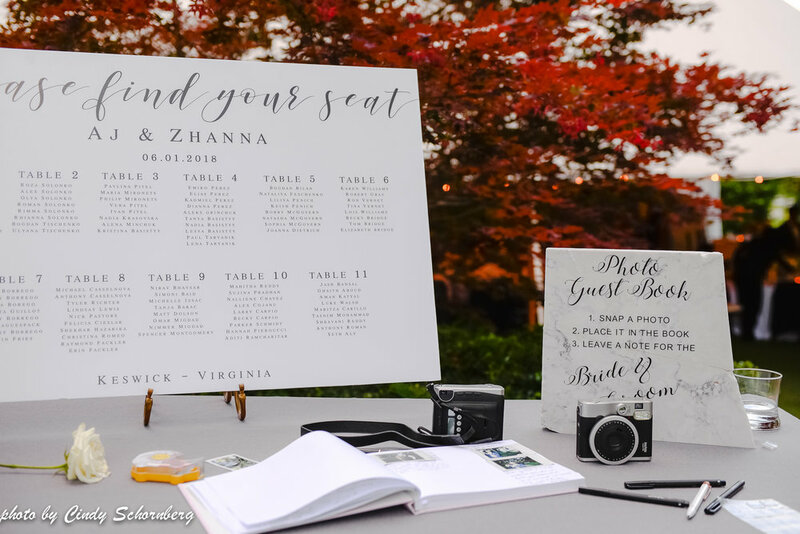 Guests were also able to use the polaroid cameras that Zhanna and AJ provided, to take pictures of each other, place it in the couple’s guest book, and write a sweet note for the couple to remember their wedding by. The excitement didn’t end at cocktail hour, though! Carpe Donuts, one of our local food trucks that provides amazing donuts and other items, arrived so that guests could snack on some sweet treats. 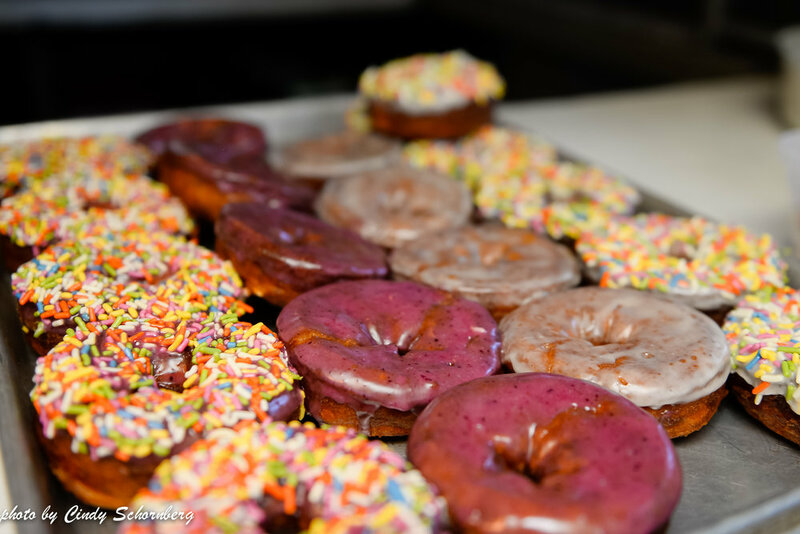 Zhanna and AJ decided to use Carpe Donuts in lieu of a cake, which the guests absolutely enjoyed with how great of an array of donuts there was! We were so happy that guests came from both near and far (as far as Ukraine, we might add), to enjoy the festive celebration of Zhanna and AJ. Congratulations to the happy couple! Event Planner: Alana Futcher with Chancey Charm, Officiant: Bobby McGovern, Caterer: Dinner at Home, Desserts: Carpe Donut, DJ: Seth Kravitz with Rhythm of Love Weddings, Photographers: Finn Lively & Corrine McCaffrey, Videographer: Gardenia Weddings, Florist: Lauren Emerson, Transportation: Albemarle Limousine, Lighting: Skyline Tent Company. Check out their beautiful wedding with this video from Gardenia Weddings!